From all indications, it’s all systems go for the signing tomorrow, June 30, by President Aquino of RA 10153, the law which postpones the elections in the Autonomous Region of Muslim Mindanao (ARMM) in order to synchronize them with the 2013 mid-term national and local elections. One is tempted to say that this is a non-event, for there have been postponements before; besides, it involves far-away ARMM. But on closer inspection, this event carries a lot of weight and political implications reaching perhaps into the next two decades. This is the case as a group of politicians, various citizens’ groups and individuals plan to challenge the constitutionality of the postponement before the Supreme Court even as the ink has barely dried on P-Noy’s signature. The ostensible reason for postponement of the ARMM elections is so that reforms can be installed in this volatile region in the next two years. And to dramatize this goal, ambassadors from various countries especially in the Middle East have been invited to witness the Malacanang signing of RA 10153. The irony was not lost, however, on Sen. Edgardo Angara, who pointed out during the Senate debates and more recently in his Business Mirror column, that the youths of the ME are agitating to dismantle the structures of dictatorship in various countries there, whereas the P-Noy government may be alienating the Muslim youths in ARMM by tinkering with the autonomy of the region. Were the ME ambassadors duly impressed with the Palace event? But the bigger picture is the power-play among the various political parties in this most sensitive area---the ARMM---where presidential and senatorial candidates traditionally are made to win, or are cheated or junked for the money of it. Minority Leader Edcel Lagman of the 30-member Lakas-Kampi in the House (a much-decimated political party now) is poised to file the first case challenging the constitutionality of the ARMM postponement law; but it would doubtless be two other political parties certain to be involved in the coming two elections in 2013 and 2016 in a major way, that will be watched in this ARMM controversy. There's the Liberal Party of P-Noy, dormant for the past more than 20 years but which is now having its own springtime as it seeks to build power bases everywhere; the other is the PDP-Laban, once a “tricycle party” that has grown by leaps and bounds since the surprising election of Vice President Jejomar Binay in May 2010. Aside from Lagman's Lakas group, the PDP-Laban will file opposition to the postponement in the SC, with no less than former Sen. Aquilino Pimentel, the author of the Local Government Code, to argue its case; but various would-be candidates in the cancelled Aug. 8, 2011 elections, most notably the President’s aunt, Margarita “Tingting” Cojuangco, as well as former politicians of the region such as former Gov. Almarin Tillah of Sulu, are also signing as oppositors. On the other hand, various citizens’ groups such as Tanggulang Demokrasya (TanDem) are issuing statements in the media in protest against the unconstitutionality of the ARMM postponement. Cast against the opposing groups, the main proponent of postponement is the President himself, aided by his allies in both chambers of Congress, which handily passed RA 10153 even without a bicameral conference committee to reconcile the differences in their two versions. One major difference was that the House version would not allow interim officials appointed by P-Noy to run in 2013, as their appointment would obviously give them undue advantage over other candidates in 2013 (bravo to the House for seeing this point); the Senate version, however, struck this House provision out. Need we argue more about LP power-building?. P-Noy threw the support of his entire administration to this effort, and big considerations were said to have been involved in getting ARMM key leaders to swing from initial noisy protest to outright support. Given the PDP-Laban’s ideological bent, it doubtless would have questioned the ARMM election postponement even without the implications of 2016 looming in the political horizon. This party, dominated by the long shadow of Nene Pimentel, had pushed for the passage of the ARMM Organic Act in the mid-90s and it views the election postponement as a grave curtailment of the autonomy enshrined in that Act---a decision imposed on the Muslim populace by Imperial Manila again. Stalwarts from various parties, such as House Minority Leader Lagman have also opined that amending an Organic Act without the requisite 2/3 vote of both chambers, voting separately, and a plebiscite is unconstitutional. 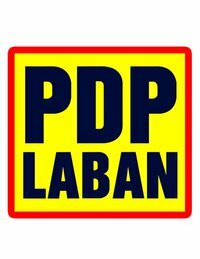 Moreover, PDP-Laban has consistently batted for federalism in various debates on charter change as a solution to the festering separatism movement in the South. And the bedrock of federalism is autonomy. 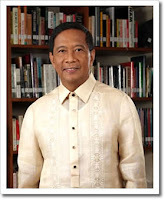 But the dramatic sudden shift of VP Binay from a prominent political leader of the metropolis to a key national figure has given added impetus to the PDP-Laban's advocacy against postponement, for a very good reason---it has to counter-balance the LP’s power-building and drive toward 2016, now that it has a national leader with a reasonable chance of giving stiff competition to the LP’s key bet for 2016, Mar Roxas. The LP is vigorously party-building specially in Mindanao where it had virtually no presence in 2010 (it was the PDP-Laban as well as Lakas turncoats, now referred to with snickers within the LP as “Lakas Parin,” who saw the potential strength of Cory’s and Ninoy’s son, despite his scant personal political capital, and they made him win in Mindanao). The obvious goal now, after successfully getting Noynoy Aquino elected, is to get Mar Roxas to succeed him and retain Malacanang for the grand LP recherché du temps perdu. It will be recalled that the LP was divided in the last presidential elections, with a big chunk (reportedly including some Aquino relations) conniving with shrewd vice-presidential candidate Binay to drop Mar in return for Binay's support for Noynoy. It was common knowledge that Binay abandoned Erap, but in the thinking of a number of political pundits, such connivance could not have taken place without the knowledge of Noynoy. So there’s an immense guilt toward Mar Roxas that the party has to assuage and this can be done by ensuring his victory in 2016. But first, the LP has to ensure that Mar tops the 2013 senatorial elections, then bag the Senate Presidency for him (with the help of Dinky Soliman and Butch Abad, who reportedly have been lusting after Senate seats for a longtime), re-tool Mar's elitist image and then onward to the presidency in 2016. ARMM would be crucial for the legitimate as well as the illegitimate votes, hence the administration’s line about the need to install “reforms” there between now and 2013. PDP-Laban strategists doubtless realize the importance of dominance in the ARMM only too well; hence its lawsuit in the SC. As a party stalwart put it, “We have to show support for our candidates in the various provinces of ARMM who had prepared to run, until the elections were postponed.” The term of ELECTED ARMM officials will end this Sept. 30 and the administration intends to APPOINT around 50 interim officials to fill the vacancies, beginning with former Anak Mindanao Partylist Rep. Mujiv Hataman who will serve as ARMM governor. But as noted above, the Senate version of RA 10153 allows these LP-appointed officials to run for office in the 2013 elections, to the great disadvantage of their political rivals. It's easy to see that this immoral situation would create a lot of political discord in ARMM, defeating the intended "reforms." Doubtless, in the minds of the PDP Laban, Lakas and other political parties, if they don't go to court to block the LP-sponsored postponement of the elections there, it would be like Sugar Shane winning by default because Manny Pacquiao didn’t show up at Las Vegas. The suit by Lakas and soon by PDP Laban and other groups before the SC should be decided on its merits according to the Constitution and the existing body of jurisprudence. However the Court decides it, challenging the legality of RA 10153 is healthy; but the political considerations will play as significant a role because the very future of the presidency would be at stake. All Presidents have to deal with bad news. The thing is, what's P-Noy doing about it? The President’s comment that there are three Cabinet members constantly giving him bad news hit the headlines in recent days and the favorite guessing game now is, who are those three? His remark can be interpreted several ways. One is that he just has an aversion to “bad news” and always wants a rosy picture given to him, so he doesn’t get “headaches.” If this is the case, then I’m sorry to say, but he’ll continue to get bad news, for as his business allies and key political supporters are now telling him, not everything’s coming up roses in this neck of the woods. In fact, these Cabinet members are duty-bound to tell P-Noy the truth about the state of affairs in this country, never mind if he gets irritated and shows signs of wanting to avoid them. It’s another thing, however, if these Cabinet harbingers of bad news offer no solution at all to the problems they bring---which is the second interpretation of P-Noy’s displeasure remark. Then he should, as Lipa Archbishop Ramon Arguelles opined, get rid of them for “performing ‘out of tune’ “ and get new Cabinet officials who can find the proper solution and help lighten his load. Every President has to contend with bad news. During the US presidential campaign in 2008, Democratic nomination contender Hillary Clinton twitted her rival, legislative neophyte Barack Obama, about his doubtful preparedness for that proverbial 3 am. phone call. I recall close aides of former President Fidel Ramos recounting how they’d try to find the nearest exit whenever FVR would start shifting his cigar from one side of his mouth to the other over bad news. In President Erap’s time aides would recall that he didn’t have to contend with bad news too much, as he would just pass it on to Prod Laquian or Ronnie Zamora and cheerfully change scenery for instant relief. In President Macapagal Arroyo’s time there was lots of talk of cell phones flying around as evidence of the famous presidential wrath over poor performance of some staffer. 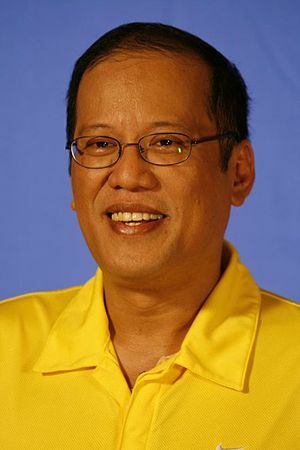 Now comes P-Noy saying he just forces himself to see the bad-news bearers and treats them as part of his “penitensya sa mundong ito.” That’s too simplistic an approach and unacceptable---he hired them, he should fire them and get others who can truly help him run the government. The fact is that the emergency button is now being pushed even by those who had supported his candidacy, such as Deputy Majority Leader Lorenzo “Erin” Tanada III, the Makati Business Club and the People Management Association of the Philippines. But more than the ratings (anyway he’s not in the running again), he has to move the economy and produce jobs, then his ratings will improve. Unemployment last January was 7.4 %, up from 7.1% in October last year and this midyear it has conceivably risen even more with the influx of new graduates. He also has to make the country more competitive for investments. Talking of MBC and PMAP, these professional groups were in near uniformity of support for candidate NoyNoy Aquino, despite his obvious lack of qualifications and preparedness for the job, especially in management skills. Now they’re complaining when what they should be doing is to help him get this country moving. It’s their moral obligation to do so. I braved the storm last Thursday night and showed up at the 15th anniversary of the Philippine Export Zone Authority (PEZA) as I have been a firm supporter of that agency and its laudable director-general, Lilia de Lima, the first female manager to bag PMAP’s “Management Man of the Year” award. More on Lilia’s achievements in future blogs, but suffice it to say here that despite her efforts and those of the guest of honor, former President FVR (whose tremendous foresight resulted in the law creating PEZA), to credit the P-Noy administration for some of PEZA’s achievements, there was limp reception from the crowd that night. If it was cold outside the Aliw Theater, I thought it was colder inside. I surmised that one good reason for the chilly air was that a number of the foreign guests were sympathetic to the protestation of the European Chamber of Commerce, as expressed by president Hubert D’Aboville, on the cancellation of existing government contracts with predominantly European companies by P-Noy’s administration; what’s worse is their perception that the cancellations are being done whimsically, because the contracts were concluded in the former administration (pls see my earlier blog write-ups about these cancellations). In fact, I saw former Foreign Secretary and former Ambassador to Berlin Delia Domingo-Albert at the PEZA reception and she wanted to me to chat with the foreign envoys, but I declined half in jest, saying, “Pabayaan kaya muna nating lumipas ang galit nila.” Delia, now senior adviser to SGV chair Washington Sycip, often finds herself at the receiving end of queries about these contract cancellations, despite her having retired from government service. Perhaps so, but what’s sad is that despite these financial improvements, this country continues to give the impression to foreign investors of instability and prone-ness to whimsical decisions, owing to the recent cancellation of existing foreign contracts that have previously been reviewed by various government agencies. The latest under threat is StradCom, the firm providing computerized registration of vehicles and drivers’ licenses, whose contract has three years to go; there’s talk now of cancelling it. Ano ba ito? * P-Noy decided to forego an overnight stay in Boracay last Saturday, after a brief visit there to inaugurate the renovated Caticlan Airport; instead he choppered out of the island and proceeded to inspect several disaster areas in Metro Manila and Central Luzon. But some people find it quite odd that he had actually never been to Boracay at all, until last Saturday. I find that odd too, given its pre-eminence among our tourist spots. In the same vein, some European ambassadors also find it odd that P-Noy has never been to Europe at all, when his mother, President Cory, was given such a rousing welcome in Paris in her State Visit to France early into her administration, complete with stunning white horses in the esplanade fronting the Hotel des Invalides, Emperor Napoleon’s burial place. 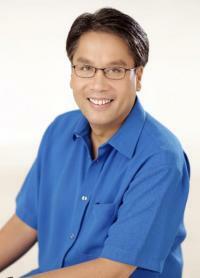 Cory was met like a new Joan of Arc, but where has Noynoy been all this time vis-a-vis Europe? It's apparent that he isn't a great believer in the saying that travel widens one's perspective in life. * A few weeks back, UPSCAns of all sizes and eras met at the Delaney Hall behind the UP Catholic Chapel to celebrate with former UP President and later Cory’s National Security Adviser Emmanuel “Noel” Soriano and his wife, the former Angelica “Angge” Alday, their 50th wedding anniversary. It was loads of fun, but most touching was how Angge Soriano and the children have given such unconditional love to Noel after he was devastated by a stroke that reduced him to a near-vegetable two decades ago. With the magic of love, prayers and Art as therapy (e.g., painting his favorite scene, the UP Chapel, at various times of the day, much like what French impressionist Claude Monet did with the gothic Cathedral at Rouen in Northern France), Noel has greatly recovered, thanks to his super-devoted family. Enjoy your years ahead, you two, and lots of love. Quotas on graft cases being filed vs. past administration--- "parang zona ng panahon ng Hapon"
Administration sources say that orders are out to the proper agencies to file 150 graft cases against former GMA-era officials, so that all these will elicit rousing soundbytes in the President’s SONA this July 25. One year after he took office, this is still his administration’s refrain---the corruption of the old regime and as a source put it, case-filing quotas are being imposed, so that “ngayon parang zona ng panahon ng Hapon ang nangyayari. Sinusuyod ang lahat." New cases, however, have been brought to light involving P-Noy’s own people, e.g., LTO Chief Virginia Torres, whose prosecution has been recommended by the DOJ no less, and Undersecretary Rico Puno, but the President has ignored the opposition’s call for their investigation. Instead, he continues to focus on the past regime even as the “tuwid na daan” is getting more crooked. The former Republican presidential candidate in the 2008 US elections, Arizona Sen. John McCain, has taken up the cudgels for the Philippines and Asean by urging the US to stand up against what he termed the “bullying” of China in the disputed West Philippine Sea (or South China Sea) and to help develop the sea capability of Asean member nations (such appeal could help the Philippines whose navy has only one warship, a WWII-vintage at that). McCain, a senior US senator and senior leader of the Republican Party, made the assertion in a conference at the Center for Strategic and International Studies, a Washington think-tank. Sen. McCain’s pronouncements are certain to attract attention in US political and military circles, as he is one of the few US politicians with a military background and a long-standing involvement in the Senate Defense Committee. Graduating from the US Naval Academy at Annapolis, he would perhaps have followed the footsteps of his legendary grandfather, the first Admiral John S. McCain, and his distinguished father, Admiral John S. McCain, Jr., into the US Navy, had the Vietnam war where he served, and his imprisonment in the “Hanoi Hilton” not cut short that career. McCain was a Navy lieutenant commander at the time of his captivity, while his father was commander of the entire Pacific Command (CINCPAC), the US Navy’s second most prestigious office, at that time (During the presidential campaign, it was pointed out how POW John McCain III refused to be released from prison, which the Vietnamese authorities were willing to grant in deference to his CINCPAC Chief-father, unless his fellow POWs were released too). McCain’s service and imprisonment in Vietnam and his recuperation in Clark Air Force Base may have ingrained in him a closeness to Asia that other members of the US Congress may not have. My late brother-in-law, former Navy Flag-officer-in-command Admiral Carlito Cunanan, after whom the Western Command’s naval station in Palawan was named, was McCain’s classmate at Annapolis and in fact he met the badly mangled ex-POW at Clark where he was flown in for emergency hospital treatment while en route to the US. On the other hand, Annapolis graduates Roilo Golez, now representing Paranaque, and former Subic official Vic Mamon relate how McCain once stood up to an upper-class bully cadet who was shabbily treating a Filipino mess hall employee at the Naval Academy. McCain, an acknowledged boxer in his time, challenged the upper-classman to a boxing bout outside over the episode, but the latter dared not take him on. 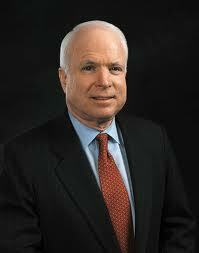 Interestingly, now McCain wants his government to address what he terms the Bully in the Asian seas. But his forceful appeal will doubtless be balanced by Washington in the light of its severe financial constraints that nearly brought the government to a stand-still two months ago. Cecile Alvarez and I invited former Undersecretary (and often Acting Secretary) of Foreign Affairs Franklin Ebdalin to our regular 8 pm. dzRH talk-show last Sunday to help enlighten the nation (our regular "Paaralang Bayan" on dzRH) on our current rift with China over the Spratlys. As former UP Regent Nelia Gonzalez, who recommended Usec Ebdalin as resource person, stressed, we couldn’t have found a better guest as the latter, a lawyer and one of the ten bar topnotchers in his time, had initiated the Philippine secretariat for the United Nations Convention on the Law of the Sea (UNCLOS) and organized the Cabinet committee on this issue in 1983, a year after the UNCLOS was approved by UN member nations in 1982 in Montego Bay, Jamaica. Ebdalin recalled that it was the third such treaty to be signed---a miracle in itself, given the contentiousness of maritime claims around the world--- and in fact, he noted that next to the UN Charter itself, the UNCLOS is often considered the most significant treaty achieved by the UN. Ebdalin, who retired in 2010 after 36 years of continuous service in the DFA, noted that as the demand for more food and resources among countries in our region rises, the importance of the wealth of its seas, e.g, oil and natural gas and now mining explorations off-shore, rises too. As a result, conflicts are bound to crop up again and again. He feels that the US has a strategic interest in keeping the South China Sea open for navigation for itself and its regional allies such as Japan and South Korea, but that despite all the bluster, China is not keen on drawing the US to a shooting war in these waters. Ebdalin stressed that the Philippines has filed a diplomatic protest over the encroachment by China into our maritime territory, and that the best thing we ought to do is to “solidify and consolidate our position in the proper international forum, because we do have a valid claim to those disputed islands and the international community would agree with our position, as guided by the UNCLOS.” He also stressed that we should capitalize on the fact that China and Asean have signed the "2002 Declaration of the Conduct of Parties in the South China Sea" and find a way to make it binding. I agree. Given our own severe military limitations, there’s no better and valid way to defend our claims to the 53 islets in the Kalayaan Group but on the international negotiating table. The list of nominees to two Supreme Court vacancies to be submitted by the Judicial and Bar Council (JBC) to P-Noy is being awaited, and news is that only six nominees will be submitted instead of the maximum ten. But even if the other nominees would not land in the final JBC list, it could still be said that it was honor enough to have been included in the original list, as the screening was so rigid this time around---a tough winnowing among the best and the brightest. To begin with, all the nominees were subjected to psychiatric testing---a first ever in the history of JBC screenings. For instance, in one recent morning, grouped together to undergo the tests were Comelec Commissioner Rene Sarmiento, Court of Appeals Presiding Justice Andres B. Reyes, CA Associate Justice Vicente Veloso, and UE Law Dean Amado Valdez, current president of the Philippine Association of Law Schools. As an insider related, from the way the nominees in this distinguished group were going through such activities as putting square pegs into square holes, they could have been just a bunch of elementary kids trying to get into high school! Does this rigid screening mean that decisions coming out from the SC from hereon will be “sounder?” Dapat, if this criterion were to be cited. This blog elicits all kinds of reactions (via email to polbits@yahoo.com) to the items I write about, but few items provoked more reactions than two recent ones: on the “doleouts” from the whopping P21 billion cash-conditional transfer (CCT) program of the DSWD and on the perception of rising criminality. Both cases elicited a lot of worry from the citizens that so much cash being doled out without proper screening and accounting would end up as politicians’ tools, e.g., for the LP’s party-building in the grassroots, especially in Mindanao, and that they are no longer safe in their homes nor in the streets. As we celebrate the 150th birth anniversary of our National Hero, Dr. Jose Rizal, today, all manner of recollections of the man and his greatness are being made. Over the years many of us Filipinos have been to the Rizal ancestral home in Calamba, his shrine in Fort Santiago, Intramuros, his monument at the Luneta (what used to be Bagumbayan in the old days) where the hero gave up his life for his country, and the beautiful and evocative Rizal Shrine in Dapitan, Zamboanga del Norte. For my part, I'd like to get personal and recall episodes that affected my family, specifically my siblings and I, in our “encounters” with Dr. Rizal in our youth days. I remember one day when my father, Luis A. Olivares Sr., who was a native of Laguna (many Olivareses are still found today in various towns of the province), and my mother Angustias brought us all to visit our father’s cousin, Tita Meny Ochoa, in her solidly-built ancestral home in Calamba. What was quite distinctive about that visit, apart from the good food we were served (I cannot recall if all nine of us children were brought by our parents, but I recall there was a good number of us, especially the younger ones who were the most impressionable), was the viewing of mementoes of Dr. Rizal in the family’s memorabilia room on the second floor. We came upon a maniquin on which were fitted the hero’s European-style tuxedo suit and hat, as well as his other clothes and personal effects such as pairs of shoes, a cane, photos of him and his contemporaries, letters, publications of that time, and various other items. We children were lost that morning in the Ochoa memorabilia room---peering with open mouths, noses pressed against glass cabinets, talking in hushed tones as we scrutinized the things that had once belonged to the hero and he had actually worn and used. It struck me how short Dr. Rizal was, judging from his clothes. I was probably about ten years old then, and I felt that it was like viewing the relics of a saint. I was completely enthralled and awed by that encounter with Dr. Rizal, and to this day, from time to time, recollections of that visit to the Ochoa home would come back to me. Another episode I’ll recall here, in the spirit of Rizal’s sesqui-centennial birth anniversary, involved all of us younger ones again (that’s the problem with a super-large family like the Olivareses---we tended to divide ourselves into the “older ones” and "the kids"), but this time I’ll let my brother, Washington, D.C.-based novelist Roger Olivares, do the talking, as I reprint here his “Author’s Note” to his book, “Noli Me Tangere II.” As in that Calamba home, we were all together again in Roger’s narration, in the living room of another beautiful and distinguished-looking home this time in the old Sta. Mesa Blvd. in Manila, where the American and allied forces had a year or so earlier rolled down in their tanks during the Liberation of Manila. In that gathering in the old Sta. Mesa Blvd. mansion, it was obvious that Roger was the most moved among us. An honor student and famed orator in his heyday in the Ateneo de Manila University, who went on to take up his master’s degree in Communications as a Fulbright scholar at the University of Illinois in Champagne-Urbana, he was the most impressionable, and that encounter with Rizal was to leave indelible imprints in his life and works. “When I was seven years old, my baptismal godfather, Don Enrique Herbosa, brought out an old oil lamp carefully wrapped in soft cloth. In a dimly-lit nook of his living room, he laid it on a table and told me the story of this lamp. Don Enrique was a grandson of Dr. Rizal, the national hero of the Philippines. “This was the lamp where Dr. Rizal hid his poem, “Mi Ultimo Adios,” the night he wrote it…before he was executed by firing squad at dawn of Dec. 30, 1896. He was charged with rebellion against Spain for writing his two novels, “Noli Me Tangere,” published in 1887 in Berlin, and “El Filibusterismo, published in 1891 in Belgium. His death and this poem fired up the country into a full-scale revolution against Spain. “I held that bronze lamp in my tiny hands in awe, felt its weight, and ran my fingers over its golden surface. I imagined Dr. Rizal writing with a quill pen by the flickering light of this oil lamp. The small stone-walled cell was heavy with the soot of burning oil. He wrote all night with the serenity of a man who used his talents well, with the sorrow of one who loved his family and friends dearly, but above all, with the pride of a patriot who loved his God and country fiercely. Before his executioners came, he folded the paper ten times and inserted it in the empty hold of the oil lamp. He put on his jacket. He was ready and resigned to his fate when they came to his cell. “Since then, Jose Rizal ceased to be just a figure in the history books for me. That magical moment in a dimly-lit room is clearly etched in my memory. And it was with this memory that, when I was in college, I wrote and delivered an impassioned oratorical piece on Rizal. That chance encounter with Dr. Rizal, through the historic oil lamp of his stirring “Mi Ultimo Adios” (which we Olivares siblings all had experienced, by the way, as we were neighbors of the Herbosas then. Don Enrique Herbosa was Roger’s ninong, while his wife, Dona Fortunata "Atang" Herbosa, was my sister Tita’s baptismal godmother), led not only to a powerful oratorical piece still recalled today in many schools, but also to Roger’s writing what he terms a “modern sequel” to the hero’s “Noli Me Tangere.” In what he audaciously called “Noli Me Tangere II,” the writer took some of the major characters of the old Noli, namely, Crisostomo Ibarra, Maria Clara, Elias and Sisa and transported them from the 19th century to today’s “troubled modern times,” while other characters were his creation. All these because, if I may recall, of the Olivares siblings’ close encounter with Rizal’s memorabilia in that ancestral home in Calamba and the poignant story of the oil lamp as revealed to us by Roger’s baptismal godfather. Close encounters of long long ago. The perception is that criminality is on the rise. Recent news accounts spoke of Teresa Teano shot dead by carjackers who grabbed her Hyundai as she drove to the gym, and another girl, Sheryl Sarmiento, also killed inside her car on Commonwealth Ave., Q.C. Recently, a two-week old baby was kidnapped as her mother got into a cab in front of a hospital in Manila. A plush neighborhood near St. Luke’s Hospital in Q.C., which boasts of some pricey condominium buildings, has been burglarized a number of times, sending tenants scampering for house security. I talked about this perception of rising criminality with an eager young PNP official assigned in Central Luzon and he agreed that there is the perception especially in the media. But he said the statistics do not bear this out, stressing that one reason for the perception may be that more and more people have become braver and now talk openly about criminal events affecting them, in the media and even in the internet, unlike before when they would choose to hide information. More people now realize, said this PNP officer, that they can get help from the police who are now working closely with barangay officials in reporting and addressing criminality. Perhaps all this is true, but working against the P-Noy administration is this perception and as we all know, that’s the name of the game and it has tackle this bull by the horns. 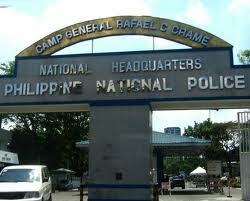 I suggested more PNP dialogue with the populace on their fears and apprehensions. And as I stressed to former Sen. Nene Pimentel when Cecile Alvarez and I interviewed him in our Sunday 8 pm. dzRH program about his laudable newly-launched “Center for Local Governance,” which aims to strengthen the LGUs, especially at its lowest link, the barangay level: let’s get the barangay people to truly deserve their salaries, instead of just earning their keep from politicians who hire them during campaign season. Many folks are unable to believe the recent generous claim of US Ambassador Harry Thomas Jr. that his government would come to the succor of the Philippines in an outbreak of hostilities with China over the Spratlys, despite the Mutual Defense Treaty signed in Washington, D.C. between our two countries on Aug. 30, 1951. This is because the US economy is over-stretched at this point in Afghanistan and Pakistan and to a certain degree still in Iraq, in its “support” role for NATO action in aid of the Libyan rebels and in various other flash-points around the globe, that the US would studiously avoid further direct involvements. In fact, as of May 6 this year the US’ Total Public Debt Outstanding was $14.32 trillion, representing 96.3 percent of its GDP and ranking it 12th highest against other nations. So tight are its budgetary constraints that they nearly brought the entire US government to an administrative halt months back, triggering intense debates in the US Congress. I’m sure that all America wants to do now is to encourage the various countries in dispute over the South China Sea islands to cool down and talk things over, with, as US Secretary of State Hillary Clinton said weeks back, the US providing a cordial forum for dialogue. China’s assurance of a similar desire is reassuring to everyone. Every time I hear of former Speaker Jose de Venecia journeying abroad on the invitation of a foreign government or international organization, I cannot help but think that this man’s persuasive talents and immense political and cultural contacts around the globe ought to be utilized by the P-Noy government to help mediate our problems abroad, such as our running issues with China in the last year; but unfortunately it’s not doing so (DFA sources intimated to me that Foreign Secretary Alberto del Rosario had endorsed De Venecia's appointment as presidential adviser on UN and regional concerns, but up to now it has received no action from P-Noy). Last April, for instance, JDV led a delegation of the International Conference of Asian Political Parties (ICAPP), a group of more than 100 administration and opposition political parties from around the world which he chairs, in a call on Vietnamese Party General Secretary and National Assembly Chair Nguyen Phy Trong in Hanoi. Trong assured the delegates that the Communist Party of Vietnam would continue to cooperate closely with groups like ICAPP in helping maintain peace, stability and development in the region and the world. Earlier this month JDV was invited by the United Nations University in Barcelona to participate, not as a politician but as a global thinker. He sat as panelist in the “Scoping Conference” of UNU's new “International Institute for the Alliance of Civilizations” and as the initiator of the “inter-faith dialogue” at the UN a few years back, JDV was like fish thrown into water at that round-table confab, with "The Future of Inter-cultural Dialogue" as its theme. JDV submitted six proposals on such topics as, how to handle the “clash of civilizations” and transform it instead into an “alliance;” how to mitigate the negative impact of cultural globalization on poor countries; the need for crafting a new economic ideology for the developing countries, a global ethic for international politics and economics and global restraints for global media (“on what they may or may not show”). In these crisis times, every Filipino has to come aboard to help steer the nation through tricky political and economic shoals, and this goes true be it for seasoned intellectual leaders like JDV or young but tested ones like Gilbert Teodoro. Talking of Gibo, who recently celebrated his 49th birthday, I saw the various greetings on the internet sent by his legions of followers who refuse to disband until now. Their uniform message was, run Gibo, run for the Senate in 2013, but still, nothing is heard from the other end of the line. Reports say the senators’ pork barrel will increase by another P30 million each, so each of them will get P230 million in total every year. The problem is that this is setting a bad example. For instance, do you know that each Quezon City councilor gets P41 million in pork barrel funds annually, which goes to salaries and other operating expenses of his or her office? But how in God’s name can the councilors employ that many people in so many sq. m. of office space in City Hall, to each merit P41 million a year? With the senators getting additional millions, can councilors and---don’t forget, the House members, who only get P70 million pork barrel plus P10-15 million MVUC each annually---be far behind, at least in agitating to get more? In another instance, Secretary Dinky Soliman has asked for P2 billion more, in addition to the earlier unprecedented P21 billion sliced from the 2011 budget, to support the DSWD’s conditional-cash transfer (CCT) program. Soliman claims that the DSWD has finished its expanded registration of the poorest of the poor families, the bulk of which is concentrated in Mindanao where the poverty is at its worst. As a result, she says, the P21 billion has been consumed. But so far, all these newly registered “beneficiaries” are mere claims on Soliman’s part and the valid query on many minds is, could the DSWD have finished registration of the additional 1.3 million family beneficiaries since it started this January? The DSWD under former Secretary Esperanza Cabral had listed one million family-beneficiaries with its P10 billion budget in the past administration, so that Soliman's claim now brings the total beneficiaries covered by the CCT to 2.3 million. There is a lot of skepticism, however, about whether the current P21 billion budget is being utilized properly and whether many of those fast-registered beneficiaries are real people and not fictitious; or whether they are not merely politicians' followers, especially since the LP seems so obsessed with party-building and gaining lost political ground. Besides, when it comes to handling funds, Dinky is not the most credible official, as the memory of the CODE-NGO program is still fresh in many minds. As Shakespeare would put it, AYE, THERE’S THE RUB. Are 'proper safeguards' in place? Last Monday I attended a whole-day seminar titled “FILIPINO IT for Automated Elections Conference (FIT4E Conference)" sponsored by the Automated Elections System Watch (AES Watch), an umbrella organization for about 40 Information Technology (IT) groups, and held at the ultra-modern GT-Toyota Asian Cultural Center at the UP in Diliman, Q.C. It was an impressive assemblage of Filipino IT expertise---this time to tackle once and for all the matter of election automation in this country. 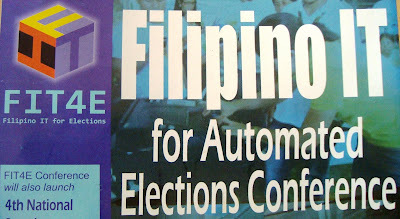 AES Watch participated actively in Congress deliberations that drew up R.A. 9369, the Automation Election Law, and even challenged many aspects of the automation program offered by the foreign-based Smartmatic and its Filipino partner, Total INformation Management (TIM); some local computer companies sought to push their own automation program, but couldn’t match Smartmatic’s sales pitch before a Congress and a poll body that obviously regarded anything foreign automatically better than a Pinoy production. But as the 2010 elections wound up amid the horrifying chaos and confusion of that momentous day, and election protests sprouted around the country, Filipino IT groups declared, and are now declaring with more vehemence: "Enough is enough. We cannot allow our democratic processes to be endangered again by 'malicious intruders.' "
From what I saw last Monday, the local IT experts have united. Putting their collective credentials on the table, they are determined to push Filipino computer technology and tailor it to the “uniquely Filipino” election system that’s far more complex than those of other countries. At the seminar the Pinoy IT groups launched the “Fourth National Search for Product Excellence in IT (Automated elections System).” The year-long search, open to any Filipino citizen or organization and launched in cooperation with the Department of Science and Technology and the Commission on Elections, is geared toward looking for a Pinoy-designed and executed AES that’s “transparent, secured and with an AUDITABLE election technology to be used in the 2013 elections” (underscoring mine). No more foreign-designed technology for 2013. Tall tales? Big dreams? Time will tell, as we follow this crucial search over the coming weeks and months. I'm in total support of Filipino IT technology for our elections, and I can only envy India for painstakingly devising an all-local technology for its 600 million voters in their parliamentary elections. Suffice it to say for now that I found quite heartening the attitude of the Comelec, led by its still-to-be confirmed by the Commission on Appointments Chief, Sixto Brilliantes, toward this search for a Pinoy election system. At the seminar Brilliantes was accompanied by three commissioners, namely, Rene Sarmiento, Armando C. Velasco and the latest appointee, the still also-unconfirmed IT expert Gus Lagman. In his brief remarks, the Comelec Chief noted the “adversarial” relationship between the Comelec of his predecessor’s era and the local IT experts. The clash centered mainly on the issue of the “source code” used in the last elections, which is to IT practitioners what the “grand recipe” is to a bunch of chefs; others called it the "road map" to automation. Smartmatic/Comelec has consistently resisted its disclosure to the IT people even before the elections, in violation of Sec. 12 of RA 9369, and even though the government had paid P200 million for the technology alone (the total contract with Smartmatic-TIM, including the lease of the PCOS machines, came to a whopping P11.3 Billion). Brilliantes said with a wry smile that “with the sanction of his en banc Comelec” represented that day, he’s committing to supporting the National Search for a Filipino technology for the AES; but he also added that he had not yet made up his mind on how far that support would be. Some IT folks later begrudged that latter phrase as a take-back of his support pledge of the earlier minute, but to me that was good enough for an opening relationship with the local IT experts---a far cry from the “acrimonious” Melo yesteryears. More on the Pinoy IT experts’ struggle to get their rightful place in the Philippine electoral firmament. Last week the Senate voted to follow the House’s lead and abort the ARMM elections originally scheduled for August 8. A number of civic organizations and politicians, especially those who had planned to run in the elections, now want to challenge before the Supreme Court the constitutionality of that move of Congress; but the problem is that only a law can be challenged and until the President signs the consolidated bill it does not become law. In fact, two lawsuits against the House move were thrown out by the High Court earlier because they were challenging mere bills. The question is, when will P-Noy sign that bill? The signing is rumored to take place next week, but then again that’s uncertain; in fact there’s talk that some advisers are coaxing P-Noy to delay it as much as possible, obviously to stymie court challengers. But if he wishes to help calm the waters already roiled up by the abortion of the ARMM elections, he should sign it asap. A challenge in our courts is a constitutional right of citizens and it’s still much better than other forms of dissent such as violence or civil disobedience, as former Gov. Al Tillah's group is contemplating if their court suit does not progress. Delaying the signing of the bill into law would not spell sincerity and would only worsen the grievance of those affected by the postponement of the elections. Another area of discontent is P-Noy’s appointment of OICs for various ARMM positions, beginning with the governor, when the elective positions become vacant on Sept. 30. A vetting committee composed of DILG Secretary Jesse Robredo, Presidential political adviser Ronald Llamas and Peace Process Adviser Ging Deles was formed. But the problem is that these Cabinet officials are all from Christian Manila---people are now asking: will they recommend Christians to the vacant positions? 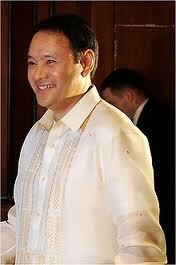 Comelec Chief Sixto Brilliantes has opined that P-Noy does not have to appoint Muslims and in fact even Fr. Eliseo Mercado of Cotabato’s Notre Dame University, who had opposed postponement earlier, now opines that religion should be taken out of this issue. But the reality in ARMM is that religious affiliation is central, and it would be quite impolitic for P-Noy to appoint Christians to the vacant posts---baka from imperial Manila pa! On the other hand, I can see why he’d prefer Christians, as perhaps in his advisers’ mind, this would avert clashes among the Muslim political families. As if to say, sige, wala muna kayong lahat. But would Christians be able to rule in ARMM? A related worrisome issue is that the Senate adopted the House version in toto, except the provision that appointed officials cannot run in the synchronized 2013 elections, which the Senate deleted. This means that P-Noy appointees could well be feathering their nests in the 1 1/2 years until the 2013 elections, to the disadvantage of their rivals. The reaction in ARMM to the Senate deletion is quite bad, and Congress leaders now talk about the need for a bicameral conference committee to reconcile the two versions of the bill. But all the legislators are vacationing probably abroad. But a delay is a small problem compared to the winter of discontent this postponement appears to have given rise to. It’s easy to see that peace could rest uneasy in ARMM in the next 1 1/2 years. What problems Ronald Llamas has caused! 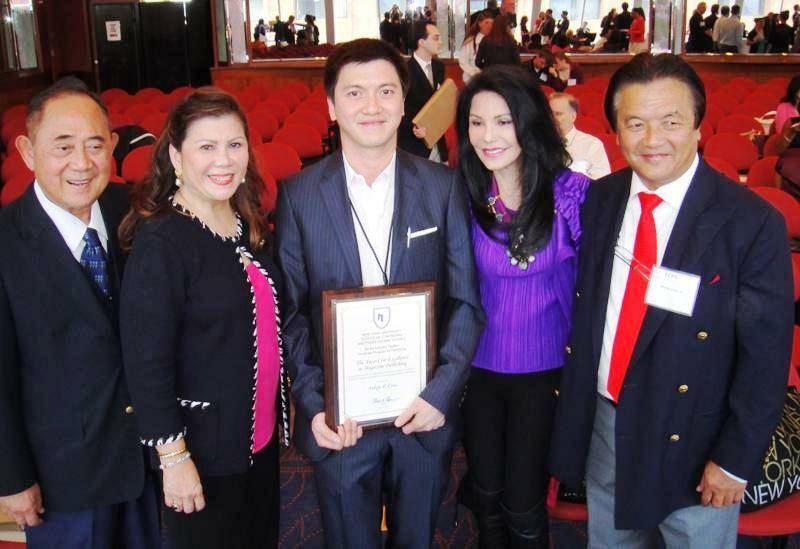 Congrats to Felipe Cruz III, son of Rep. Gina de Venecia of Pangasinan's 4th District and industrialist Felipe Cruz II, who recently graduated at the top of his class at New York University with a Master of Science degree in Publishing and received the Award for Excellence in Magazine Publishing, with a cumulative grade of 3.95 out of 4. 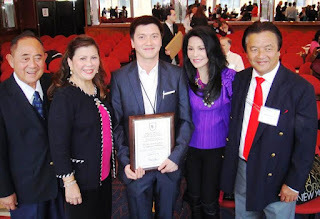 Philip III brought honor to himself, his family and the country at the NYU graduation held at the Yankee Stadium, where former US President Bill Clinton was guest of honor, and the Cruz and De Venecia families, led by Philip's step-dad, former Speaker JDV, were fully represented. 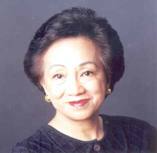 Philip III, in garnering the top award, bested editors and digital executives of top US media outlets, including Time, Esquire, Elle Magazine, AOL and AP, proving once more, as mom Gina put it, "that the Pinoy journalist can compete in global areas and prevail." Philip began his print media career in 2003 as magazine columnist in Star and in 2005, he joined the magazine publishing section of ABS-CBN where he was promoted to associate publisher, overseeing lifestyle magazines of various categories. 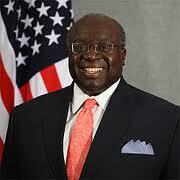 He earlier attended Stanford University's "Professional Publishing course" for magazine executives.